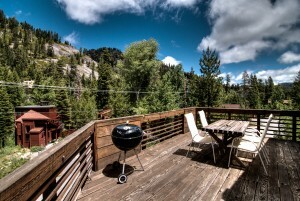 Price Reduction in Alpine Meadows! 1786 Trapper Pl. Enjoy spectacular mountain views through cathedral ceiling windows or from the expansive decks of this classic mountain-style home! A cozy retreat after skiing at nearby Alpine Meadows or Squaw Valley, or snuggle in after enjoying snow play in your own large lot on a quiet cul de sac. Look right up at the south side of Red Dog Ridge and the KT-22! In summer, the famous Five Lakes hiking trail and numerous other Tahoe hikes are only moments away, or you can just relax and watch the alpenglow from your secluded, private hot tub. This unique, Ward-Young designed home is a must-see! Not subject to Bear Creek Planning Committee guidelines or review. 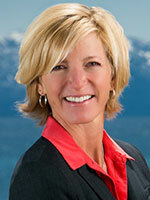 Optional membership in Alpine Meadows Estates Association.